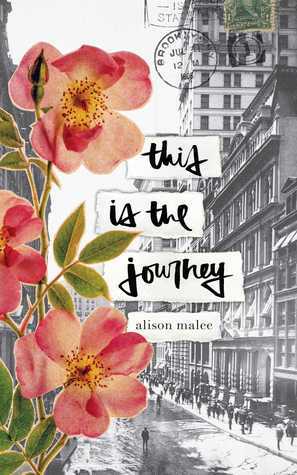 As part of my mini reads/mini reviews series, today I share my thoughts about three collections of poems: ‘In a Dream You Saw a Way to Survive’ by Clementine von Radics, ‘With Gratitude’ by Marala Scott, and ‘This Is The Journey’ by Alison Malee. All three books have been recently released. This is a beautiful collection of poems inside a stunning cover! I couldn’t say that I could relate to all of the poems, but there were many that touched me deeply, and I could feel with the poet – and that’s in itself a huge thing. Most of the poems were strong ones that dealt with deep feelings and serious life situations, like cheating, love, abortion, and most of all, mental illness. They showed what it’s like to wake up every day with a struggle within yourself… how it feels when your own body and brain do everything to work against you. And still it is possible to exist, to live – to survive. To have good things in your life, too. 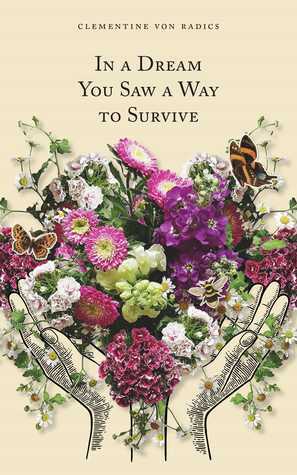 This book of poetry is an honest and authentic lesson on fighting one’s self – to live. I rated this book 4 stars. I got this book from Andrews McMeel Publishing via NetGalley in exchange for my honest opinion. The premise of this book is very appealing: an inspiration and motivation to live and think positively. 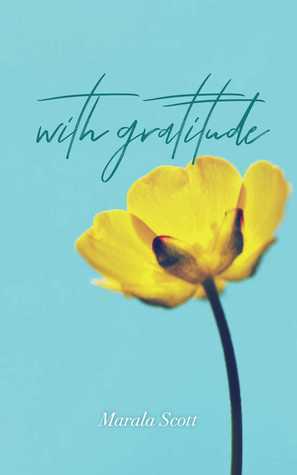 To see what you can be grateful for, instead of only seeing the obstacles and the wrong. That’s something I, like many others, struggle with every day, and I always appreciate anything that helps me keep my thoughts positive and optimist, instead of figuratively dying in my dark ways of thinking. This poetry book sounded like one that would inspire me to a positive attitude, but at the end, all I felt was bored. These poems does have a meaning and purpose I appreciate, but they are way too vague for me to feel engaged. To feel…anything. They are more like a lecture on what you should do and feel, and not how you should do it… they don’t show to you the beauty in life, in the little things. They merely state there is, and that’s it. They lack depth, and they don’t deal with anything concrete. While reading them, I didn’t feel like there’s a person, or some stories behind them. These poems are nicely written little things, in a nicely coated package, with a bow on it, that you put on the shelf and never again step closer to – you simply know it’s there and don’t think about them any deeper than acknowledging the nice wrapping paper. I rated this book 3 stars. This is a fine and nice collection of poems which, unfortunately, in my case did not meet its ideal reader. I don’t say I didn’t like these poems. I appreciate the topics it touches, the strong presence of the poetess, the struggles throughout her life, the way the collection is structured, the journey she herself took and the journey she took the readers to with her. I don’t know if it’s the style of the poems, the way she expresses herself (these are very subjective things, and many times I find myself not really liking someone’s style, even though I can’t really put my finger on why exactly I feel that way. I might even appreciate it on a rational level – like in this case. ), or that I couldn’t really relate (maybe because my experience of life is different), but I felt a bit detached. This in no way indicates that it’s not a great book, that these are not great poems. They are. They’re just not for me. I got this book from Andrews McMeel Publishing and NetGalley in exchange for my honest and unbiased opinion. Have you already read anything written by these poets? What did you think? I’d love to read your thoughts!